At Autumn's Promise, we focus on activities that are fun, and that our residents enjoy. Our Activity Director meet with each resident to discover what types of recreation, crafts, music, etc. that they like to do. From making applesauce, to crafting, to journaling, we have a variety of choices for residents to enjoy onsite. We also go into the community attend plays, eat at restaurants, go to the NEW Zoo, and more. Life should be fun at every age, and Autumn's Promise helps to make that happen. 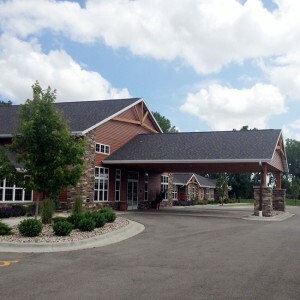 See photos of our beautiful, lodge-style building here. Autumn's Promise has a large, stone, 2-way fireplace, buffet style dining, theater room, arts and crafts activity room, homey dining area, and private resident suites. Our back patio and garden look out onto a woods. It's lovely here. 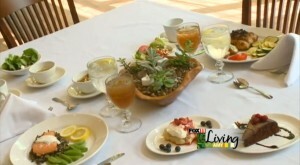 At Autumn's Promise, all of our meals are chef-prepared and made fresh daily! Our residents have many options to choose from for breakfast, lunch and dinner so there is something everyone will enjoy!